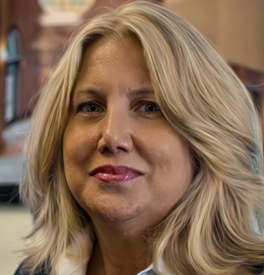 Cindy Clopton Joined Sabra Property Management, LLC, in 2007 as Senior Head of Accounting. She has over 25 years of financial analysis experience and has held leadership roles in multiple companies prior to joining the SPM team. Cindy oversees the Accounting Division and all activities related to corporate and property accounting including but not limited to financial analysis and reporting, internal and external auditing, budgeting, portfolios and joint ventures. As head of Accounting she is responsible for SPM’s corporate accounting, investor distributions and profit sharing and consolidating financials for tax purposes. Cindy received a Bachelor of Science in Business Administration with a concentration in Accounting from the University of Tennessee. She became a member of the National Honor Society Alpha Lambda Delta in her freshman year and graduated with Honors.